This minimal mini-dress features a flattering shift-silhouette with bell sleeves for a feminine touch. 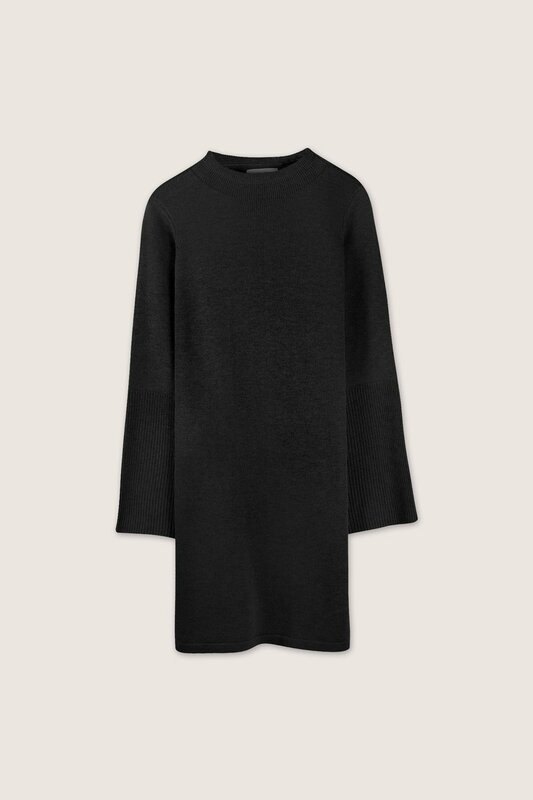 The sleeves have contrasting knit-detailing for added detail. Elegant and versatile, this piece can be dressed up or down for any occasion. Pair with heeled mules and minimal jewelry for a chic evening look.